Welcome to the Weak End! I hope you have lovely plans as summer is winding down. Are you heading out on an end-of-summer vacation? Or is it over because the kidlets are already back in school? The grandtwins started middle school earlier this week which can be very scary. All I can do is wish them all the best and hope that when they close their eyes at night they are lifted up by happy dreams. This happy dream consists of swirling fluffy clouds surrounded by colors of exploding jellybeans flavored with bubble gum and raspberry! In practical terms, I used a vanilla card base and behind the circulature are swirls from an embossing folder by LifeStyle Crafts. The NBUS sediment went through surgery; it's from the "Heydey" set by Hero Arts. The happy die is from Papertrey Ink. Don't you think I did a marvelous job with my artful spray spluttering? Well, the truth is this was a super EZPZ card because I simply cut the die from the piece of paper that was lining the bottom of my spray box! I thought it was too pretty to throw out. 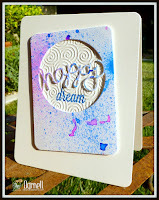 CAS Mix-Up Card Challenge: Stamping plus Sprays plus Die-Cutting and Embossing. 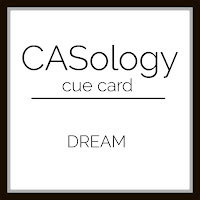 CASology: My friend Coni is the featured designer and the word is: Dream. Pixie's Snippets Playground: Use your snippets. Just getting in under the wire. 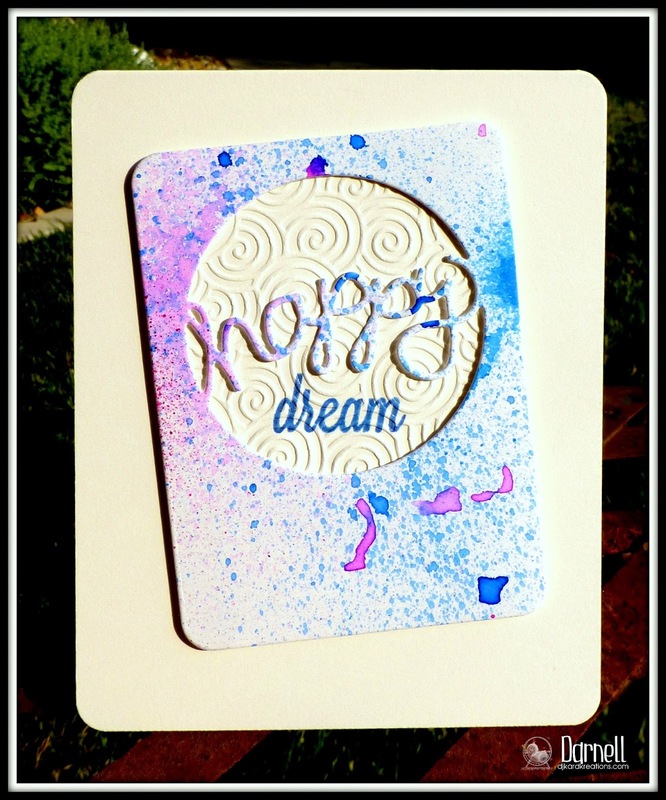 The Artistic Stamper: Stamping and Anything Goes. Many of you have been patiently waiting for the biannual NBUS (Never-Before-Used-Schtuff) Challenge to begin on September 1st. It turns out we are having gobs of company in September, so I am moving up the challenge a bit. The challenge will start on August 27th and run for the usual ten days, ending on September 5th. YAY!! There will be one other change this time in that there will be no monetary prizes. I'm doing this for two reasons. The first reason is that I'm just off a luxury holiday to England and my pocketbook is rather empty. The second reason is more abstract. I've had a couple three comments made to me that the only reason so many people participate in my NBUS Challenge is because I offer prizes. Really though? Of course, there is truth in that. There are always going to be some who are only interested in prizes. But I've gotten the feeling over the years that you genuinely like to play in this challenge because it makes you stop and focus on using your virginal, forgotten, and set-aside schtuff. Prizes or no prizes. Right or no? So mark your calendars for next Saturday August 27th when the InLinkz button will appear! If you are not familiar with Never-Before-Used Schtuff, please check the tabs at the top of the blog to see prior challenges and learn about the origin of the challenge and the rules. I'm ready for NBUS #7, Darnell .. Mt NBUS prepare to be conquered! Loving the card Darnell, the focus you created is awesome. About the NBUS, I play it for sheer fun, I would play whether there is a prize or not. Most of the gift coupons which I win, I cannot claim..so when I win something which I cannot claim , I either let it go(which I have done a couple of times). The other times, I pass it forward to someone who can use it. Oopsie, clean forgot to say what a delightful card and fab colours too! Sorry about that, it's early and my manners are still in bed! That sprayed card certainly was too pretty to throw away, great job and I love the scallopy (not a word I know but it doesn't matter here does it! lol) background in the frame. Fabulous card, I love the colours. I'm looking forward to the fun of your NBUS challenge! Wonderful card and how clever to even have a piece of paper at the bottom of the spray box, of course I never thought of that. Well the piece you ended up with is marvelous and the die surgery is perfect. Isnt it funny how people like to put a dampener on things. Yes there are people who enter cause they want to get something out of it, thats human nature. But you have such a wonderful following that there will be just as many coming along to share and use up their NBUS. I have been working very hard on increasing my pile just for this chance so Im ready to go. Glad your back. to use my forgetten "Stuff"
What a wonderful card Darnell - I use paper from my spray box too, but unlike yourself, mine is pretty well covered by the time I use it - your's looks way more artsy than mine :-). I will fossick in my NBUS tray and join the challenge!! Great use of your left-over panel, Darnell. I've been patiently waiting for your next NBUS challenge to start. Even so, I've tried to use some of my NBUS in between challenges as well. Thanks again for putting using our NBUS higher up on our agendas! Hi Darnell, Here the kids have two more weeks before they got back. Love the texture of your card and that it is again so different from your earlier makes! I will join the fun in a NBUS-challenge with or without a price or prices; just like to work with my new things and I am really serious of using all that I buy...Even if that means I will be bussy for a long time :) !! Hope that your grandkid will have a nice year of school... with no stress! Your delightful card will help him to dream (but hope not at school....) :D It's adorable with the puffy clouds and the colourful spray! Love the swirly texture in the centre and the thrifty approach you took to the spray drawer lining! It's was a real treat to read about your trip to England - it must have been just marvellous! Definitely too pretty to chuck in the bin, you've made a fab card with it. Weak end really made me smile, Mr and I have moved an ancient (and very heavy) TV from the bedroom to the recycle centre and we both have sore backs as a result - ha, ha, mine is my backside!! I didn't know I had muscles there.... Anyway, I love your card and that sprayed piece was definitely too beautiful to throw away, it is gorgeous and makes the most wonderful addition to your card! I have two boxes of NBUS just waiting to be used so am very excited here. How disappointing if folk were just joining in for prizes - and equally disappointing for anyone to even think/say that in the first place! I bet you'll find we'll all still play if we can anyhow - it's a fun challenge and that's the reward - not a prize! So at least you can see it electronically!! That was FAR too pretty to throw away, it looks wonderful on this card. Now, a moment's thought. Why is raspberry flavour always blue? I've never met a blue raspberry in my life, and some of those raspberry flavoured drinks look more like something you'd clean your windows with or use to start a fire than something you'd actually consume! I find I'm using the "leftovers" far more these days! Not yet used the bottom of the spray box, but off to have a look! Your card is just delightful and the inkyness is great. Thanks for the heads up for the OLS challenge. I not only have a NBUS mountain, I have a whole range of mountains here!!! bring it on. The lower three head off to school on Tuesday and #1 is off at college and starts classes Monday. Time is flying. Best of the luck to the twins! I'm all for a NBUS - prize or no prize doesn't matter to me. Love your splatter card. The colors are fabulous! I think you did a mah-velous job on the ink splattering and your card is so sweet. All children should have such happy dreams... I would play your NBUS challenge with or without a prize too. It's just a fun challenge that makes me delve into that pile of schtuff and give it some love. Love the fact that your card is made from what others would throw away. Gotta save the planet, you know... and a few pennies (big wink). Beautiful dreamy card. Love the colors. Great way to use something you would have thrown out. Maybe you should have a repurpose/recycle challenge theme in between the NBUS ones, I play just for fun beacause I really need to think about using the NBUS pile. Thinking happy thoughts for the twins. The unknown is always a bit scary until you do it. I know they will do just fine. I would never have thought to use the bottom paper in the spray box but yours is great. I love those two colors together and it made a pretty card. Maybe people do play for prizes but NBUS is a wonderful way to make us look at stamps a new way. Sometimes I buy a stamp set because I like one stamp in the set and never use the others. NBUS makes me go back and pull out things I've never used before. Although I do have a lot of new things I can use too! That kinda defeats the purpose so I'll try to use the oldies and give them some love. Such a thoughtful card and loving the idea of using the paper that was on the bottom of your spray box...genius! just succumbed to some new Altenew and Concord & 9th stamps so I'll be all set to go - also want to say I enjoyed reading about your England trip. Good luck to the boys as they start middle school. They are sure growing up fast. Oh, I do LOVE that you used your lining paper from your spray box Darnell - you crafty being you - I like to use stuff like that too (waste not, want not eh?). Great card! So does this mean you also have a circle of the said paper to use on sumthinck else then. Do hope so . Hmm might just find a card to do using stuff I have just unearthed. Hugs Mrs A.
Oh Miss Darnell, thank you ever so for your kind remarks on my notes I have been posting on Mrs A's blog. It's so good to see all my fan mail. Sammy says its some of hers too but I'm the ideas man !! Hi to Hammy . Hope he has gotten over the time lag and back on the old tread wheel. Hugs Norm. A fabulous card Darnell. I'm ready and waiting for the NBUS challenge - so much to choose from! Your spluttering is just dreamy! Love the colours and the texture too! Thanks for joining us at CASology this week. Hope the twins are settling in ok - I remember it was a tough transition (for one of my kids - the other seems to have sailed right through). Terrific recycling of that splendid background. There will always be folk who will be a bit mercenary & do challenges for what they can win but its sad if people have implied its the only reason. We all think you're fab Mrs K so 99.9% I'm sure will be entering for you. Pretty card, Darnell! I love the watercolour and the embossed swirls! I enjoy your NBUS challenges very much! I love using my NBUS! 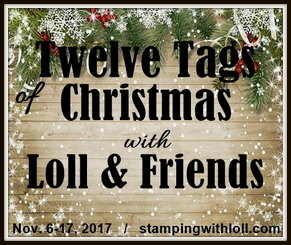 I always have some stamps or dies that haven't been tried yet, maybe too many! Have you thought about lifting the restriction on the number of other challenges permitted? 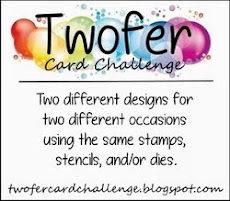 This is always a stumbling block for me because I like to support as many challenges as I can with every card I make, and I tend to shy away from those that restrict the number of other challenges entered. I may be in the minority but entering challenges is a big part of my blogging hobby. Just a suggestion but I'm sure I will join you anyway, just for fun! Hey Darnell! Fantastic card!! I will join in on your NBUS challenge regardless of prizes. While it's nice to win a prize, I really just enjoy getting recognition for my work. That never gets old. :-). I think that the majority of people who have played before will play again. You are just too awesome to ignore! Big hugs! Way to recycle, girl. You're right, that panedl was to pretty to throw away. It's perfect for surrounding your sentiment (hope it's recovering nicely from the surgery). By the way, thanks for the shout out, I truly appreciate it. Never having given away something on my blog, I don't know why anyone would enter something just for the prize but...live and let live, I always say. Anyway, I have both the requirements for entering the NBUS challenge, and how! That being said and as the date is drawing near, I better put my planning cap on. Darnell, your Mt. NBUS is so funny! I love your cloud card. The circle is so light and airy and love how you die cut the center of it! Your splatters are spot on!! I have to say shame on them for thinking that way. I'm here for the fun and friendship hun and to be honest I actually don't play in some challenges because the winnings don't interest me lol! Of course some of them do, it's great to get a win now and then but I don't expect it and am always grateful for it. I hope I am feeling well enough to join In the fun by that date. I guess time will tell. What a great save to make a card out of that paper, and it looks fantastic in those purple and blue splatters, splotches and whatever you wanna call them :) I'd play in your NBUS challenges with or without prizes, cuz I love the way it brings those unused goodies out of the dustballs and into the spotlight. I play along to help celebrate your HUGE following too - you go girl! That splattered piece is definitely too pretty to not use! Love the swirly embossing behind the happy. I'm looing forward to another NBUS challenge next week! I need to start using a box for sprays so I can get a piece like this! I does make me think of a gumball machine with all those fun colors! A treat for sure! Thanks so much for sharing this with us at CAS Mix Up! I'll be seeing you at the NBUS challenge. The hard part will be choosing which NBUS will get to see the action. 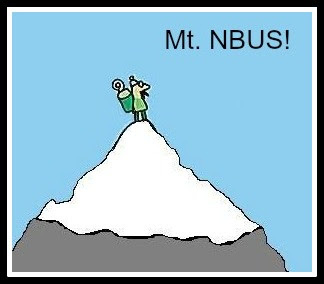 Maybe we should all take a picture of our Mount NBUS! Love today's card! I'm going to think/dream about those colors when I go to bed tonight. Hope my dream is as happy as your card. :) I'm already thinking about my NBUS pile (especially since I just ordered FIVE MORE DIES!!!!) I don't need prizes, I just need a kick in the patoot to get me going, and your NBUS challenge provides that. I am glad that you are back home and everything is back to normal :-)) You probably have less enthusiasm for this reason ... card is great, I love beautiful vibrant color background. You ask if the challenge NBUS will be better with or without prizes? It's does not matter. Each of us is looking forward to this event because it's fun and the opportunity to meet with you in the your Playhouse. I am happy with it soon. Love your card. Great use of the overspray piece, love it. What may seem to be trash to others is often gold to us crafty gals!! 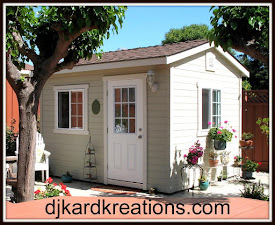 Brilliant idea to use your paint box salvage Darnell, this is cool!! Prize or no prize makes no difference to me. I play when I can cuz I think you're the bee's knees!! Darnell, you are such a hoot. Your description of your fancy splutters had me laughing. And yes, I went to my spray box to check the liner. Woohoo- silver & midnight blue- I can work with that. As to your NBUS challenge-not only do I love trying to decide what might have been new, but I also try to follow your lead & use something new or not used for a long time. So you're setting a good example as well. We all know some "what's in it for me?" people, but let's just ignore them & enjoy ourselves. Thank you, as always, for adding a smile to my day. And as you mentioned your grands, I'll do the same. Grand #6 arrived 4 weeks ago- she is only the second girl; my oldest at 22 being the first, with 4 boys in between. There's a reason they call us Grand-mother! Hugs to you (& the mister too). So glad you saved the splatter paper - it sure is to good to bin. Makes a fab card. Looking forward to using some of NBUS - I try regularly but it just keeps appearing :) embarassed smiley face! Really? You had that piece lining your spray box? It's brilliant! I hope the boys enjoy their new term ... It goes so fast. NBUS has been put on my calendar... Sending hugs! Oh Darnell, I cuss the Olympics because I have been glued to my tv set. Seriously it has been riveting because our tiny little island has never performed so well before and it has been exciting beyond belief. Love the card, I used to work with a piece of thick aper beneath me when using things like Distress Inks so that bits went on the paper and then I used them to cut out shapes/dies/stamped images. In fact I found a little tiny house on the floor this morning that was just that - a bit of scrap. Yours is so pretty, hope you get lots more cut out with it. Great card Darnell!! I can't wait for the challenge to begin!! I have so many crafting supplies that I haven't used so this will be fun!! Great splattering! I'm excited to play along in the next NBUS, and it's great fun prizes or not. I'd like to think most people would play regardless. Beautiful card -- and I agree, do NOT throw away those perfect splatters! And NBUS? Yes, plz! Means I'm gonna have to get my schtuff together tho! Looking forward to hopefully playing as I have a wedding (and the decorations to do) before 9/16!!! The twinks are off to middle school!!! Seriously? Wow - time sure does fly! Fabulous 'save' from the bottom of your spray box! Gorgeous colors and amazing card! The sentiment looks really, REALLY cool atop the swirly whirlies! Now about the prize 'thing'....bah-humbug to those that criticize! I have a really, REALLY hard time trying to understand how people can be so negative about such a fun event! I wonder if they ever feel badly after having spouted off about nonsense??? So, pay no attention to those 'poopy pants' folks because "the truth is in the pudding"....as in the number of entries your FUN challenge receives! Yeah for another NBUS!! Yes, I fear I have one or two or...many more! I play to use them, not to win, so glad you have this challenge going every once in a while, keeps us moving down the mountain of NBUS! Great card, now why didn't I think of putting a paper in the bottom of the spray box and then using it? You are too too clever my friend!! Have a happy Sunday and the rest of the week!! Hi Darnell, so glad you are home safely after your wonderful trip. Your card is beautiful and I love the sentiment. I keep saying i won't buy anything until I have used all my 'schtuff' first! Ha - who am I kiddin'! First of all, I participate in the NBUS Challenge because it's FUN! Winning something is fun, too, but that's not the purpose of the Challenge! Second, I LOVE your card and the idea behind it. This is a changing time for your grandsons, and I hope they embrace it with both arms, and yours, too! Good luck to them. They'll love your card! Oh goodness the boys have started middle school? Is that grades 7 - 8 or 6 -9. I hope that there first week went well and I bet they had the best time. 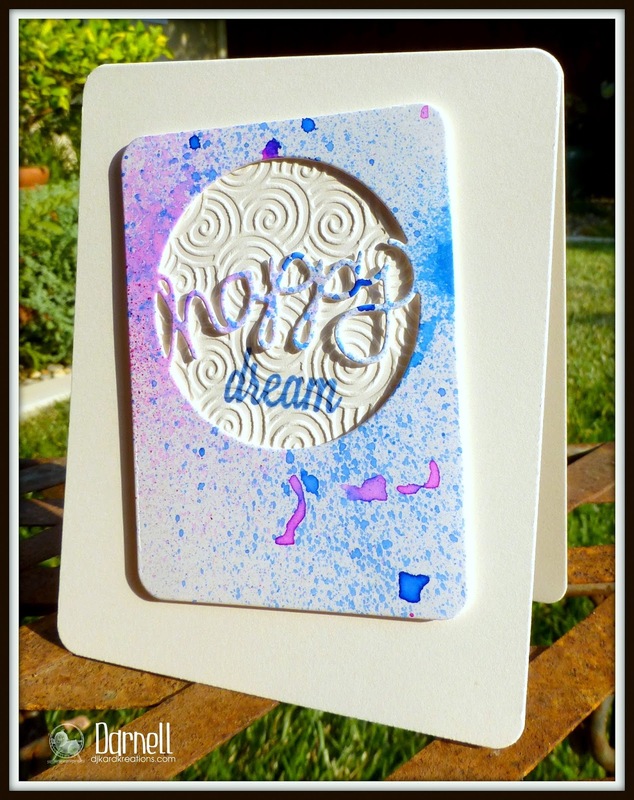 This is the sweetest card, love the embossed background and how you made it 'happy dream' and the bottom of the spray box trick is genious. It almost looks like colorburst watercolours!! Now you know I only do NBUS for the prizes--wink! Actually if I play I play for you and not wish to win a prize. <3 Thank you for sharing with us at CASology this week! I love this card! Good luck to the grandtwins... my daughter went into 7th last year and loved it-- was like, "Why haven't I been here for two years?" Even though I spent the last three months using stuff from my box of unused stuff, I still have lots to use and now have a ton of new stuff that has been added! So, I am very happy to be playing along with your challenge for the first time Darnell! I will be on a holidaytour from aug.24th but will be joining the challenges after being home again. It seems a lot of fun to me, using stuff which stays in my draws and in forgotten corners of my craftroom! I have been negligent in responding to your posts. Another NBUS bloghop - you must be feeling good. Hooray! Your new found friends certainly loved your beautiful and elegant thank you cards. Congrats on the new granddog. How sweet that Hammy has is own frog. Hope I covered all the posts and happy you are home safe and sound. Tis true that many people play only for prizes. Not me though. Nope, I don't play a'tall cuz I can't ever get my act together in time. You never know with though. I very much liked your splattery dreamy card. I'd rather not have dreams of e'sploding jelly beans. Then again I don't want dreams of going sailing in a giant storm with a coworker either (what was that about, brain??!). I like your new idea of NBUS. :-) We have to play because of joy not because of prices! What an awesome way to recycle paper! And it's totally gorg! Thanks for sharing with us at CASology this week! Thanks so much for joining us again over at CASology!!! Fantastic card makings from the bottom of your spray box, Darnell! Lovely colors - it DOES look very happy, and perfect for going back to school! Thanks for the wonderful idea! hugs, de (I have replied to your email, Darnell, and hope it helps!). Whoop whoop! NBUS challenge coming up. My entire craft room is probably a Mt NBUS.... oops. 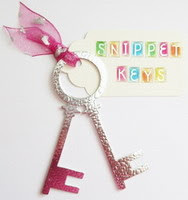 What a great idea to use the paper from your spray box! Genius AND gorgeous! Thank you for stopping by and commenting. SOOOOOO appreciate it. Your card brought a smile to me. Need I say the card is unique. Great use for an oft discarded paper. Love it. Fab bit of upcycling Darnell. I'm so excited we have a new NBUS challenge coming up, retreat has meant I have an even bigger mountain of NBUS than usual. I have been quilting but feel I deserve a diversion into paper again. Ohhh, I really hope I can find time for this. I've been wanting to do challenges, but am a bit intimidated so this sounds like the perfect start!! It's so easy!! I still can't believe someone(s) said that to you.... Not everyone is out for prizes.. Thanx for doing this Darnell!! It's such a cool concept!! So glad you are back home safely after your European Blitz. It was easy to see you were having such fun meeting all the folks. Seemed like at every UK blog, I see pictures of you representing us Yanks. I hope you had a grand time, and now are resting up from all the fun. I love your sputters...they don't look like blobs (which is what I end up with). Love that you recycled the waste paper. Looks terrific with the embossing and the die sentiment. Love the colors too. Hi to Hammy, and hope he didn't get too jealous with your European pal. He sure was cute! Take care, and TFS & Big Hugs too. Wonderful card, Darnell. I really like how you circled the focal point, also like your splatters (mine always look like a crime scene). Love that paper on your happy card! We have a few that started middle school as well, good luck to the twinks! Yay for more NBUS! Sad to say I have many!